Since Qatar was awarded the 2022 FIFA World Cup, it has under immense criticism over the possibilities of hosting such a month long global event in its harsh conditions. The latest developments surrounding it are FIFA president Sepp Blatter’s revelation that Qatar was awarded the world cup due to European leaders’ political recommendations. The world football governing body has set up a commission to look into the case. The World Cup is played during summer. Temperatures in Qatar during this period can reach 50°C. Many national football federations, especially in Europe, have questioned the possibility of playing under such conditions. Qatar has promised to build air conditioned stadiums as part of its efforts to convince critics of a convenient atmosphere. 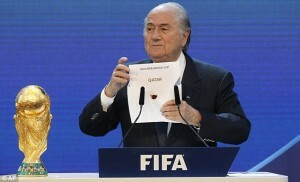 President Blatter has also raised concerns but blamed “direct political influence” for awarding Qatar to host the World Cup. The World Cup to be held in Qatar is nine years away but it is possible that it might never take place there depending on the findings and recommendations of a newly established independent ethics commission “to re-examine the awarding of the World Cup to Qatar” and the sanctions taken by FIFA. 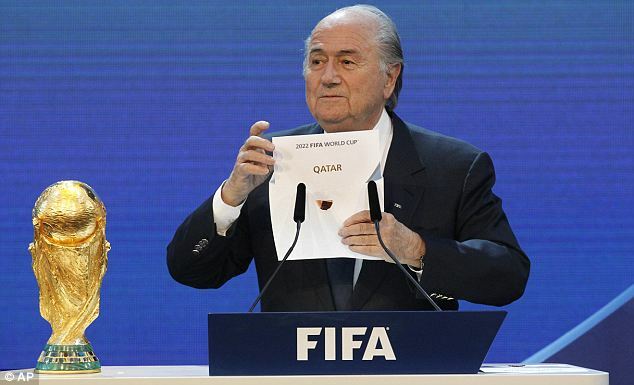 Sepp Blatter has once stated that awarding the prestigious tournament to Qatar was something of a mistake. While awaiting the findings of FIFA’s independent ethics commission to examine Qatar, European countries have agreed to form unified front against organizing the World Cup in summer in Qatar. They are suggesting that it should be played in winter. Written by: Jaber Ali on September 19, 2013. Posted by Jaber Ali on Sep 19 2013. Filed under Gulf News, Headlines. You can follow any responses to this entry through the RSS 2.0. Both comments and pings are currently closed.